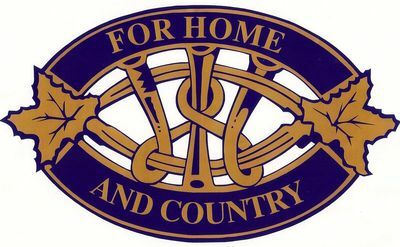 Solway Women's Institute was organized May, 1951 and disbanded in April, 2017. This plaque was placed at the Brant Township Office and Workshop, Concession 5, Brant Township located on Bruce County Road #19 in June 2011. Solway was a little hamlet, consisting of a post office, sawmill, blacksmith shop, Methodist church, and a school. 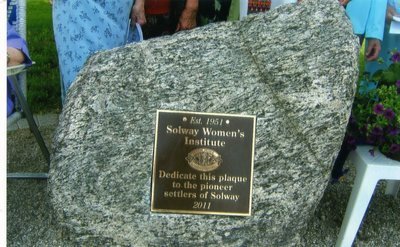 For their 60th Anniversary, Solway WI had this plaque dedicated to the Pioneers of Solway. Solway, Brant Township is now part of the Municipality of Brockton.